The Davis Center works closely with student groups across campus. Included in those groups is the Minority Coalition, a group of student organizations united under the leadership of the MinCo Steering Board. The Davis Center provides advising and logistical support for these groups. Born out of the advocacy and protests of students, the Davis Center continues to fulfill its mission by working closely with student organizations. Many of these organizations fall under the broad umbrella of MinCo. The Minority Coalition (MinCo) provides a more unified voice against prejudice and discrimination against minority students by serving as a mechanism for minority groups to come together in organizational, social, academic and political spheres. 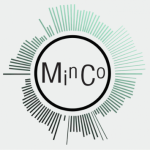 MinCo facilitates cooperation and communication amongst its member organizations, the campus and the Williamstown community and is an active voice in constructing a stronger community more aware of minority concerns. Meetings: Tuesdays, 6:45-9 pm, Jenness classroom.